Today my client and I were talking about personal growth. The article said that emotionally mature people do not dwell on their mistakes. In a different article about entrepreneurship, the author explained that making mistakes is important because of all the learning that it makes possible. So why is it that our education system punishes learners for the mistakes they make? Today I want to reflect a little on language learning and making mistakes. Many of my clients are business professionals who are used to communicating effectively. They feel comfortable with their words. They are used to saying what they want to say, how they want to say it. So it is no surprise that they feel VERY uncomfortable when they make mistakes speaking Portuguese. I bet you too feel uncomfortable when you make a mistake in Portuguese. I understand it. I also don’t particularly enjoy struggling for words. But, hey, life isn’t always comfortable, is it? Let me tell you this: There is no way you will become fluent in a foreign language without making tons of mistakes. Not a chance. If you want to speak a foreign language, you will have to be OK making mistakes. Period. Just think about this: What happens when you make a mistake? You have the chance to learn from it. A mistake is the step that comes before learning. We language learners should proudly embrace our embarrassing moments. 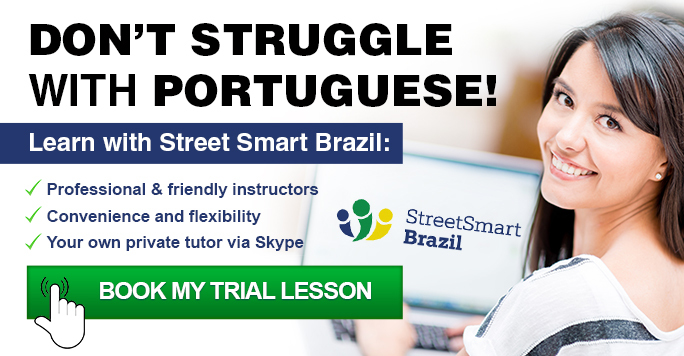 One of my video lessons is about similar words in Portuguese that can put you in trouble. I created this lesson is response to a YouTube viewer who shared a hilarious experience using the wrong word in Portuguese with this girlfriend. You can see the story in the video lesson below. These funny stories are a part of our language journey. Embrace your stories. Perfectionists, this will be your ultimate therapy! 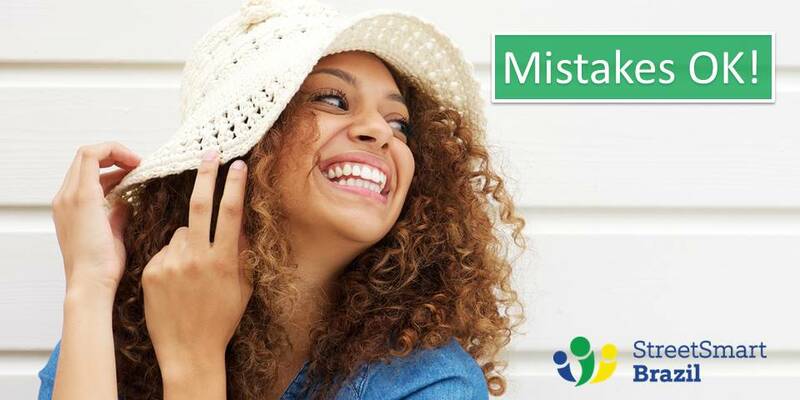 I encourage you to make mistakes beyond your language lessons. Put yourself in real life situations to practice the language. 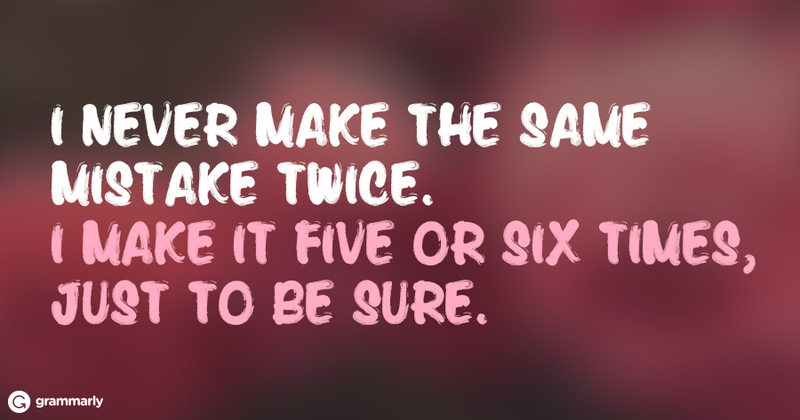 Yes, you will probably make mistakes in front of other people. And you will also learn. Assign yourself mini adventures. Go to the Brazilian store in your city and ask questions about a product in Portuguese. Ask the cashier how her day is going. Order in Portuguese at the Brazilian restaurant. Here is a tip to make this a great experience: Remember to prepare yourself for the adventure. If you are going to a restaurant, review food vocabulary and key phrases with your Portuguese instructor. Going to the supermarket? Take a look at our food-related flashcards. But, please, do not get overly concerned about this preparation. Have fun with it, and dive into the learning adventure. Very helpful, thank you Luciana!